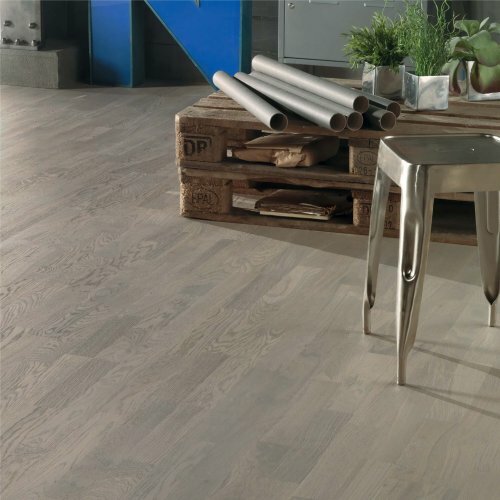 Economical engineered hardwood floors, real hardwood top layer with a stable, high density fibre board backing and easy fitting clic joint system. 10 - 12mm thick 2-strip and plank designs with a 2.5mm thick hardwood top layer. Rustic French Oak Plank -..
Oak Rustic Narrow Plank -..
Natural French Oak Plank ..
Oak Nature Narrow Plank ..